The Washington Post published an article in 2012 which will resonate with any person who has lost a special pet. It’s been four months, and yet if somebody asks me about that day, my voice will crack. By “that day,” I mean the day I came home from work to find my Doberman, Red, splayed out on my bedroom floor, his head to one side, his body lifeless but still warm. It’s an image I can’t seem to shake, as much as I try. I’m no stranger to death. I was a mess of anger and confusion when my father, suffering the aftermath of a stroke, took his last gasps one day in 1995, his children gathered around his hospital bed. And three years later, the death of my sweet, beloved sister Bonny after a withering battle with brain cancer was nothing short of heartbreaking. Yet somehow, and much to my distress, the death of my dog seems even harder. I haven’t felt grief quite like this since, well, the death of my previous dog five years ago. 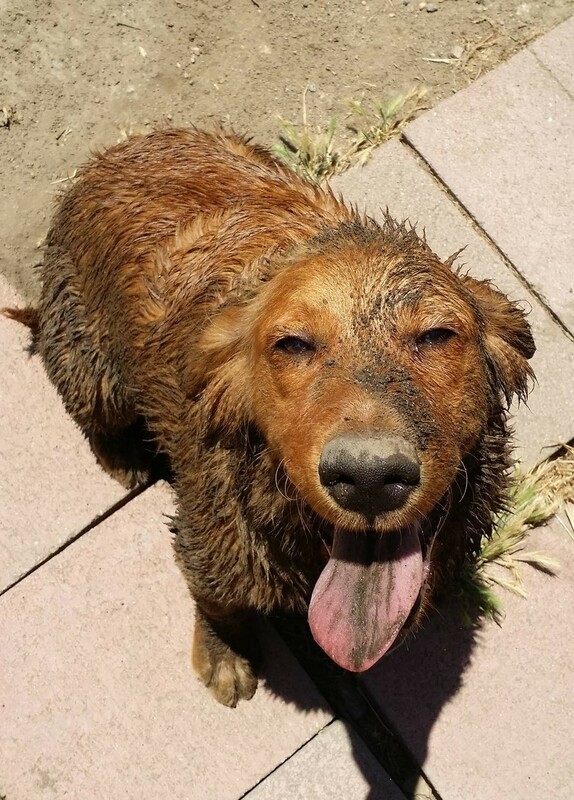 In the spring of 2015, Jose Perez moved with his Golden Retriever Joy, from an apartment to a house with a large yard. It seemed an ideal place for the young dog to exercise and play. Jose took Joy to a veterinarian who gave him some nose drops but they didn’t seem to help. So he took her to All Pets Medical and Surgical Center in Phillips Ranch not far from his home in Pomona. The doctors at All Pets outlined a treatment plan. But Jose, a single father, who was working two jobs to make ends meet did not have the money to pay for it. All Pets suggested that Angel Fund might be able to help. Angel Fund approved Jose and Dr. Thomas Beighlie performed surgery on Joy. Foxtails had worked their way into Joy’s nose and caused the severe discomfort and bleeding she was experiencing. Jose kept Joy out of the backyard and always had her on a leash when he took her outside. She wore a cone for a month, he said. Joy was special to Jose because she helped him with his daughter, who is now 13. The three of them often went hiking together. But the dog is no longer with Jose. He moved to Ontario and did not have space for her. So he asked a friend to take her. Now he lives in an apartment near Los Angeles International Airport and not far from the grocery store where he works. He misses Joy but does not expect to take in another dog soon. She would be hard to replace, he said. 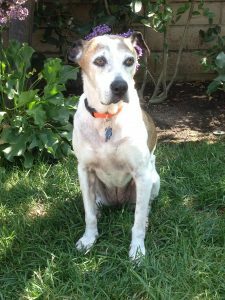 She still has a special place in his heart and he is grateful that Angel Fund and the staff at All Pets made it possible to fix her problems. Meet New AHF Pet Partner Macy! Macy was rescued from Taiwan as an adult dog in October, 2010. After hip surgery, she was adopted by her new family in December. She became a therapy dog in October, 2011. Macy loves visiting people of all ages. She is a “reading dog” and helps children practice their reading skills every week at school, by listening quietly as they read aloud to her. She lives with another Golden Retriever and a Persian cat. Her favorite foods are apples, string cheese, and sweet potatoes. When she is not visiting her friends at schools and senior centers, she enjoys long walks or naps on the couch. 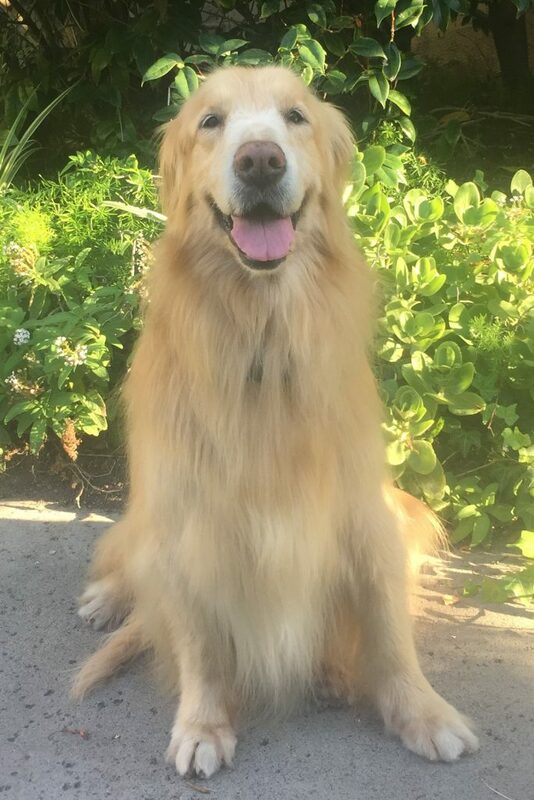 Welcome Nala to the AHF Pet Partners Program!